Here we have a 5 ingredient dinner that you can basically forget about after throwing it in the oven! 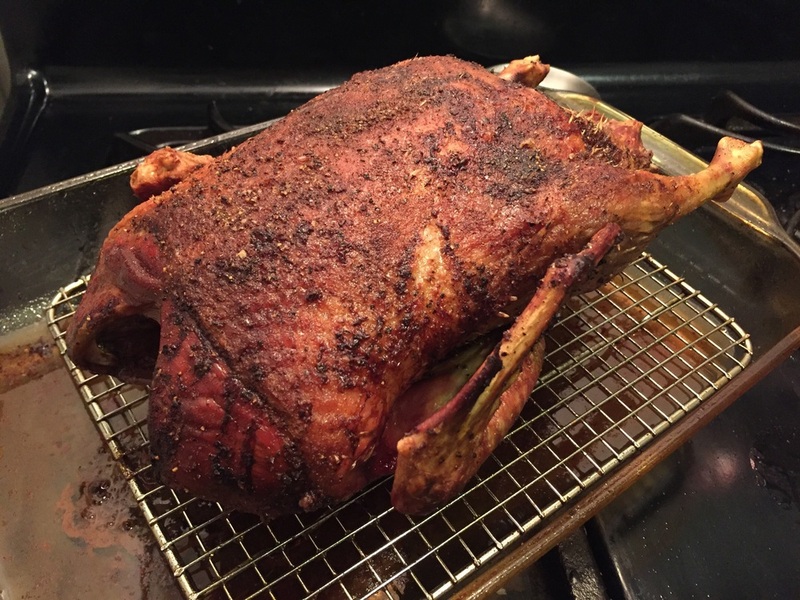 I usually love duck when it's curried but this roast is so crispy, tender, and flavorful. The best part: it tastes like a lot of work but it is so easy. Wash the duck with cold water (and lemon juice if you like). Sprinkle the salt, pepper & paprika on each side, rubbing it into the skin. 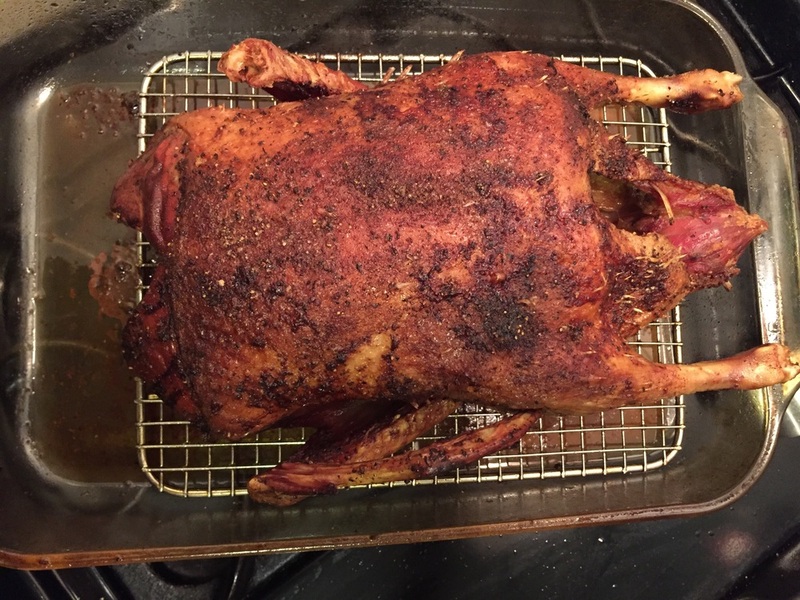 Place it chest-side up in a 9x13 Pyrex on top of a rack if you have it (so the fat drips off the duck while it cooks). Bake for 1 hour uncovered, then take it out, drizzle with the butter, and put it back into the oven for another 30 minutes.